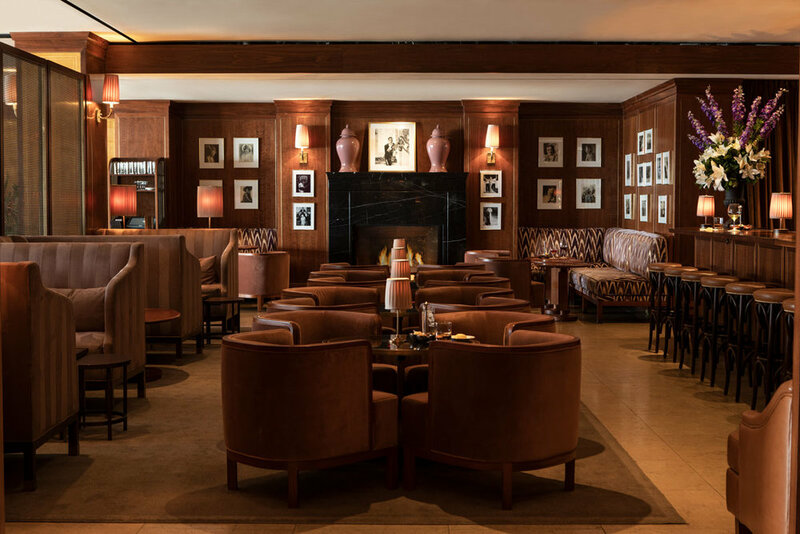 A cozy rendezvous inspired by early Hollywood, The Tower Bar and Restaurant offers an elegant haven for the discerning. The Tower Bar also offers casual dress poolside dining with a unique indoor/outdoor setting and incredible, sweeping views of the city. 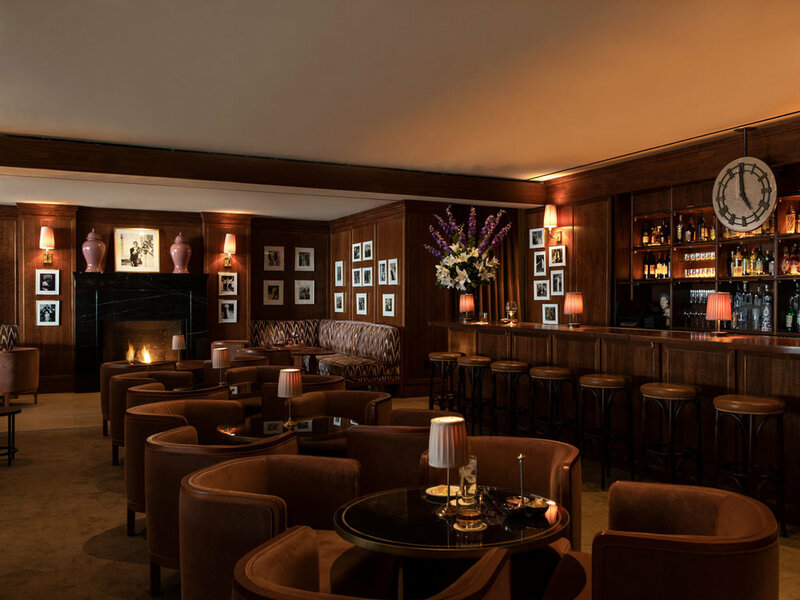 The Tower Bar is the chicest and most welcoming room in town, with a fireplace and discreet niche seating for privacy. Housed in Bugsy Siegel's former apartment on the ground floor and connected to the newly expanded Terrace Bar- the experience is elegantly choreographed by Maitre D' Gabé Doppelt. As Vogue Editor-In-Chief Anna Wintour tells The New York Times, "Gabé's superpower was knowing what was going on at all times- being in the middle of everything, seamlessly connecting everyone...as if by magic, everyone would somehow end up meeting exactly who they were supposed to." "Who says chic doesn't exist on our planet!" Steeped in the mystery of a glamorous Hollywood long past, walnut-paneled walls frame sweeping views of the city. Here guests can sip cocktails in flattering rose-colored light, lulled by the playing of famed jazz pianists. "An elegant safe haven for the players," says owner Jeff Klein, "where a duchess can be a devil, and a celebrity can dine with his family one night and his mistress the next." The reimagined Terrace Bar offers an expanded cocktail & dining experience with dark wood paneling, booths and cocktail tables. The Terrace Room is bright & airy, with custom pink suede semi-circular banquettes and sofas accented by potted palm trees. The refreshed outdoor portion of the Terrace offers a relaxed, casual setting for breakfast, lunch or dinner. Crisp white cushions, a covered travertine lanai with a view of the swimming pool and spectacular views of LA make even the locals feel as if they're on vacation. The terrace is also available for private events with a separate entrance.